The bottom line: before you buy any new hardware, make sure your current router is positioned in the center of the home and not obstructed by walls or furniture. For the average consumer, mesh extenders like Eero and Plume are the easiest way to extend WiFi in a large home. Put another way: WiFi is a fundamental part of everyday life. This makes things frustrating when your connection doesn’t work as well as it should. Ideally, WiFi setup should be “set it and forget it.” But all too often, customers are left struggling with that one dead zone in the upstairs bedroom. Do I Need to Extend My WiFi Signal? Many WiFi issues can be solved by simply placing the router in a more central location within the home. You may be tempted to rush out and buy a product promising you better WiFi coverage, but that’s not necessarily the best approach. Sometimes, the solution can be as simple as changing up where your router is located within your home. That said, if your router is in a central position already, or you can’t move it from where it is, there are a number of products you can use to help deliver a solid connection where you need it. In this guide, we’ll take a look at the popular types of devices meant for extending your home WiFi network. We’ll also look at some of the most common coverage issues that come up, as well as how to fix them. There are many different types of WiFi extension products on the market, and not all of them are made equally. You’ll see terms like extender, repeater, booster, and more used interchangeably. All of these types of products are meant to do the same thing: make strong WiFi available in more of your house. However, they aren’t the only way to extend and bolster your existing connection (or replace it entirely). Let’s take a closer look at four types of WiFi extension devices below. These types of products are some of the most common you will find in retail stores and online. Though they go by different names, their function is the same; take in an existing wireless signal, and repeat or “boost” it outwards, ideally to an area of your home not properly covered by the initial signal. Although this may sound like exactly what you’re looking for, WiFi repeaters have several practical limitations that make them a less attractive option. Firstly, these devices can only “put out” what they take in, meaning that a weak signal in = a weak signal out. You’ll have to position these close enough to your home router that it still gets a quality signal, which may be difficult depending on your home layout. Even if positioned properly, it’s important to realize that each and every person or device connected to your wireless network shaves off a slice of its total bandwidth capacity “pie.” This holds true for a WiFi repeater, in that you’ll be receiving a lower speed by default when connecting to your new, extended network. In some situations, this may not be too much of an issue, but in homes with many users or connected devices, it can ultimately mean disappointingly slow performance. Bottom Line: A repeater can help you shore up your WiFi coverage, but may slow you down if your connection isn’t great to begin with. A WiFi access point functions nearly identically to an extender or repeater, in that it provides a wireless connection outward to a new area of your home. The main difference is that an access point relies on a hardwired connection to your network, as opposed to simply repeating an existing wireless signal. In almost any circumstance, this will result in dramatically improved performance over a more conventional wireless extender. Of course, this doesn’t mean that it is the right solution for everyone. A wireless access point requires that you have an ethernet port wired into the wall to plug into in order to feed back into your main home network. You can get around this by using a powerline adapter (see below), but this will only make things more expensive by adding in more hardware. In addition, they can often be more expensive than their wireless counterparts, making them less ideal for a quick and dirty fix. Still, if you’re looking to deliver the best speeds consistently throughout your home, a dedicated access point is an excellent idea. Bottom Line: An access point is the ideal solution for most WiFi coverage issues, if you have the wiring for it (or use a powerline adaptor). Powerline adapters are a type of Wi-Fi access point that allow you to transmit a wired ethernet connection through your home’s standard power outlets. This allows for a high-speed connection to the internet just about anywhere you have an outlet in your home. For those living in multi-story properties where cutting in new cables is prohibitively expensive (or even impossible), this can be an excellent solution for providing quality internet access to hard-to-reach rooms. It’s important to note that this on its own usually does nothing to actually extend an existing wireless network. Instead, it simply allows you to achieve a hardwired connection in rooms that otherwise aren’t wired for ethernet. You’ll still need to pair this with something else, such as the above-mentioned repeater or access point, in order to bolster your actual wireless reception area. Having said that, some newer devices feature built-in access points that do provide this functionality, for an additional cost. Finally, most products will only work if the outlets are on the same circuit, though this depends greatly on how your individual home is wired. Bottom Line: A powerline adaptor can bring wired internet access to almost any room in your home, but most won’t expand your WiFi coverage on their own. Actual performance can be reduced in homes with older electrical wiring. Mesh networks can be easily thought of as a series of access points spread throughout your home working together to create a “mesh” of connections, though this isn’t entirely accurate from a technical point of view. All the same, this is essentially how a mesh network functions; a number of “nodes” provide distributed internet access across a large area. In fact, similar mesh networks have been used to cover whole cities, and even entire swaths of a country, in some situations. 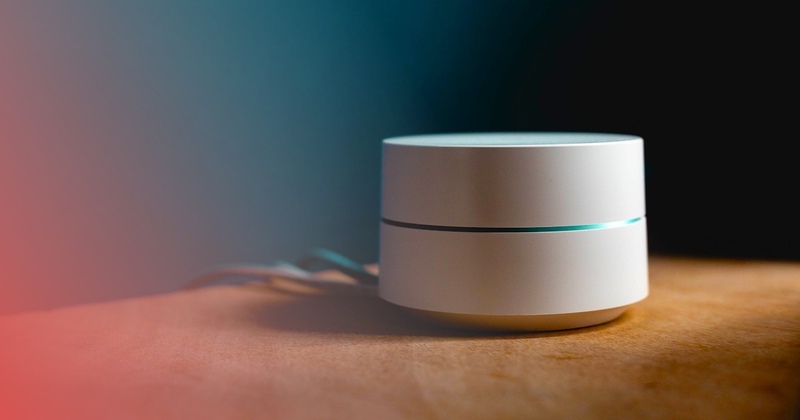 Up until recently, mesh networks have required some fairly advanced networking knowledge to set up properly, but new consumer-level products such as Google WiFi and Plume have begun to streamline the entire experience, making it practically effortless to be up and running in minutes. However, these types of solutions are far and away the most expensive in this guide, with many of these products running in excess of $200. What’s more, a mesh network may be complete overkill for your needs, and likely is if you’re just looking to plug a few holes in your network. Bottom Line: Mesh networks are the most robust form of WiFi extension out there, but they come at a cost. They are the easiest to install for non-technical customers. There are a variety of different signal issues that can come up when trying to provide comprehensive wireless coverage to your entire home. Drywall can degrade a wireless signal quite quickly, especially if the signal has to pass through extra insulation and piping, such as a wall shared by a bathroom. If you’re experiencing this sort of degradation, a repeater isn’t likely to solve things. You’ll need to set up a dedicated access point in the trouble spot, or go big and install a whole-home mesh network. The Fix: Install a wired access point or mesh network. One of the most common issues with extending a wireless connection to a backyard area is that all of the exterior walls in your home are heavily insulated. This insulation can wreak havoc on even the most solid wireless signals, weakening them and preventing them from reaching where you need them to. Again, the solution here isn’t likely to be a traditional extender or repeater, as these are unable to be daisy-chained to reach outdoors. You’ll need a wired access point or mesh node to provide quality coverage outside. If your home isn’t wired in advance for ethernet on the exterior, you can use a powerline adaptor here as well. The Fix: Install an access point or mesh node outside. Some homes feature unique floor plans or unconventional features, all of which may serve to weaken your wireless connection significantly compared to a more traditional layout. In most cases, this is exactly where a mesh network can be most useful, allowing you to spread apart nodes which all provide a direct access to your network. It may cost more than alternative solutions, but for larger homes, the investment will likely be worthwhile. The Fix: Setup a whole-home mesh network. If you’re experiencing weaker signal than you think you should be getting, it may be worth your time to look into which router you are using. Older wireless standards didn’t support the improved range that the current AC standard does, so if you’re using a wireless n or older piece of gear, it may be worth it to invest in a more modern router. The signal boost from this alone may be enough to solve your connectivity issues. The Fix: Upgrade to a wireless AC router for improved range and reliability. Getting a solid wireless connection to every corner of your home can be a real challenge. The solutions above can help you get there, but don’t forget about the fundamentals–especially if you just have a few blind spots to contend with. Remember that router positioning is key; always try and place your equipment in the most centrally-located spot available. Once you’ve optimized the position and things still aren’t where you want them to be performance-wise, then you can use the information presented above to formulate your next steps. See our guide to WiFi troubleshooting if you're having basic problems with your router.